So if you live in the Parks of Johannesburg, and your fish start disappearing, perhaps this little guy is responsible. Having a Koi pond with a fair number of medium and large Koi that have required more money than Greece, and more attention than mental patients on suicide watch at Weskoppies since we made the mistake of putting in the permanent pond, you can imaging that we were more than a little concerned to notice a slow but steady decline in our fish population. 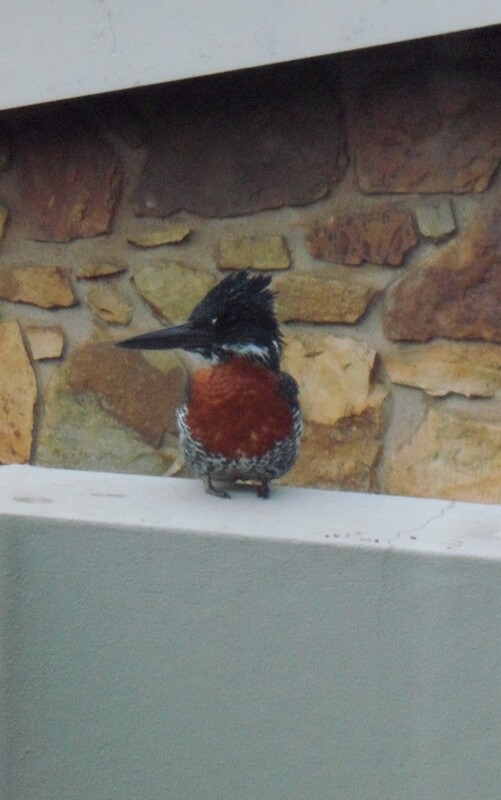 While it is not unusual for the Giant Kingfisher to be in Jozi, its not all that common to see it flying around the suburbs. Now as fish go, one or two that die usually go unnoticed, as the rest will more than likely go Hannibal and consume their previous friend – either after they have died or while still partly alive. Its a nasty thing to see when the fish you think are peaceful and relaxing go piranha. But when several medium and large Koi inextricably vanish within 5 days, you pretty much know something else is afoot. Further, as anyone who lives in the Parks of Johannesburg knows, we are subject to the various morning screeches of the local bird life. Our house has become then usual morning hangout for a platoon of Hadida’s – who show no fricken mercy when, in unison, they belt out that dull wine of a call, startling us awake, resulting in an anxiety filled morning. A new addition to the calls of the wild in our garden came with a mysterious call that sound something like a car alarm that’s low on power. Grabbing my camera I darted to the window to take a few snaps of what I learned to be a Giant Kingfisher. 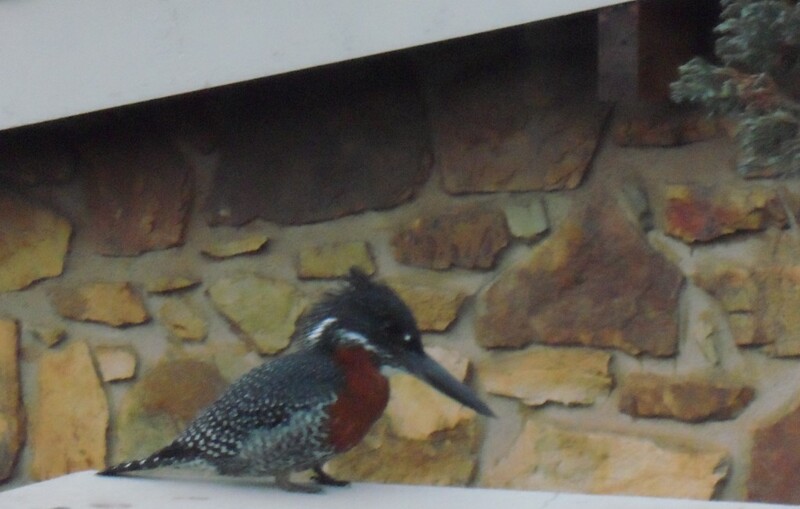 The bird had perched on the bedroom balcony wall – the perfect vantage point for surveying the Koi pond below. Well, at least I know what’s getting the Koi. Okay, so I’m a tad fragrance obsessed.